A proven way to start a home business is to create and sell eBooks, your very own information products. People buy eBooks and reports to find out how to get a result or how to solve a problem. The world has millions of people seeking information online every day on any conceivable topic. This is a fact. Someone somewhere will pay YOU for your information and your info-product. By writing an eBook, and writing another one, and another, you can create a business and that business can be online or offline, or both. Your "new times" business can result in financial independence, you will be free to do with your time as you please, you will be helping others, and you can create income to change your lifestyle or to contribute to a particular cause whatever that may be. 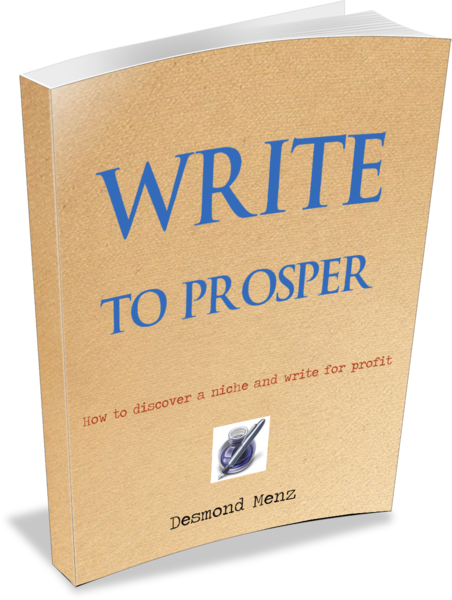 "Write To Prosper" is your blueprint to creating, publishing, and selling information products online. You don't need a website or blog. All you need are your skills and knowledge, or just a bit of creative thinking. Let "Write To Prosper" open the doors for you.